Recently, my boss gave a wonderful presentation on the Agile methodology of building Software. 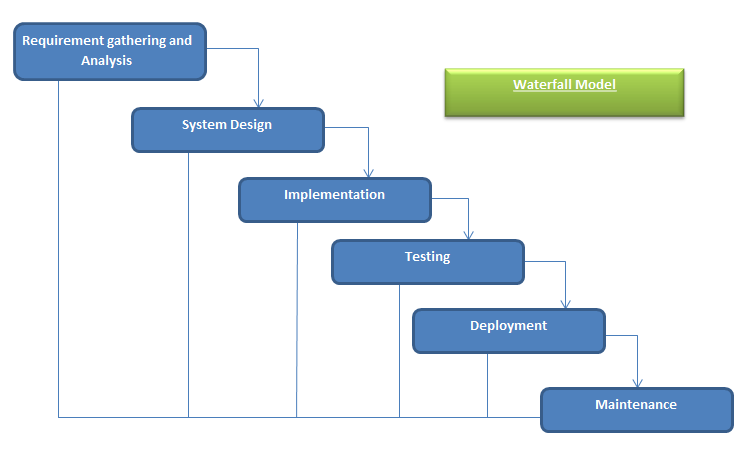 Agile methodology is simply a diversion from the well known waterfall model of developing Software. Well, I’ll explain a little about what each of these terms mean. In a Waterfall model of developing Software, you have different stages in Software development and you move to another step only after you are completely done with the previous step. And once on the next step, no going back. You have to take all the time you need to complete a stage before moving onto the next one. This model of Software Development did indeed allow for the development of Software, but recently it has been found to be too restricting. It limits the ability of what programmers can do. To much in life have people been focused on the irrelevant things. People focus on things that are not the most important. For example, in seeking to get married, people are too focused on the process and tools rather than focus on what is most important. The individuals and their relationship. People at a wedding do not even care to understand whether the couples are happy, people are only interested in the way the husband proposed, the event center and very very immaterial things. Examples abound about how we focus too much on processes and tools. 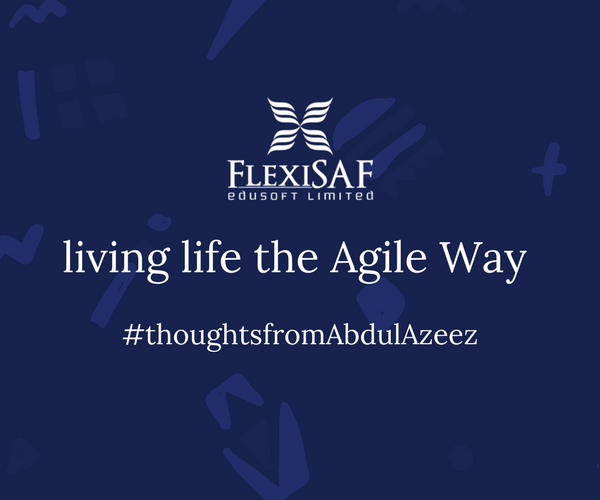 I believe that if we all begin to look at life through this lens of Agile Methodology, we would develop more and more useful and long lasting relationships. This is a really tricky one to explain. Most people are interested in what is written on a piece of paper. People want to rank people not by what they have done, but by what they have on paper. This is not a very bad thing but it limits the level of progress that would be made. It matters that we give more focus to things that work rather than what we hear people talk about. It matters that we care for originality in our lives. Not playing to the script that has been documented by our family members. You have to become a medical doctor now that no one in the house is a medical doctor while what you want to become is a teacher. We need to value people working at their best rather than following a certain written document that is only strengthened by repetition. In different real-life activities, people are more concerned about what they would make out of the whole process in terms of monetary value rather than creating real impact on the community. People sign contracts waiting for the day the other party would be at fault and they would gladly collect the whole profits of their partners. Married couples are simply waiting for the proceedings from divorce or waiting for the other partner to die so that they inherit the whole property. And in this process, people forget to enjoy the only time which they have which is NOW. People are always looking over their shoulders hoping that no one finds out their secrets and eventually live this earth with no impact. This quote by Eisenhower I always remember when people talk about plans. Plans are meant to give you a picture of how you hope the end should be. But it should never restrict you in your everyday plan. Most people are so focused on a single plan that opportunities pass them by without even noticing it. The plan should be simple and clear. It should be easy to comprehend and understand but the path to achieving our goal should be malleable. It should be open to change. All too much, we become rigid in our plans. We follow the waterfall model and in the end, if it does not work out, we follow through life with regrets. Our plan should be to live this earth a better place than we met it. But the path to achieving this should never ever become rigid. Keep an Agile method of achieving your goals. 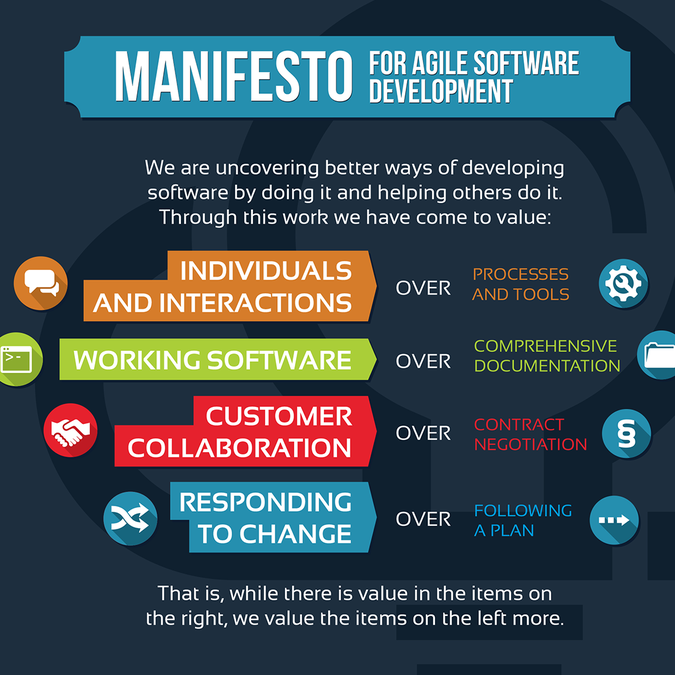 These ideas of Agile Methodology I believe are reproducible not only in the Software Development environment but also in the Human Development environment.